There has always been mystery and intrigue surrounding sinkholes, and these are some of the best, creepiest and most dangerous ones in the world. Sinkholes are created by different processes, such as weathering, liquefaction or the dissolution of particles in water. Beyond the scientific, these ten shockingly dangerous sinkholes from around the world have attracted much tourism and speculation and have also been a big part of some of the worlds most intense records ever set. 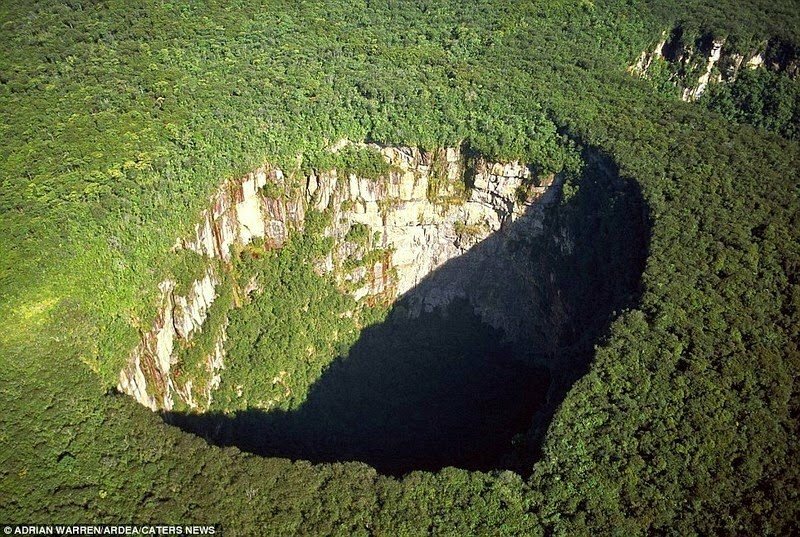 Although considered dangerous at times, these sinkholes will forever be a part of history. Considered to be the worlds largest sinkhole, at 660 meters deep and 530 meters wide, this mammoth hole in China is considered a treasured Chinese tourist attraction. After thousands of steps were carved into the steep walls to allow tourists to traverse down into it, many found that the best season to visit was during the rainy season, due to the beautiful waterfalls created by the sheer sides. 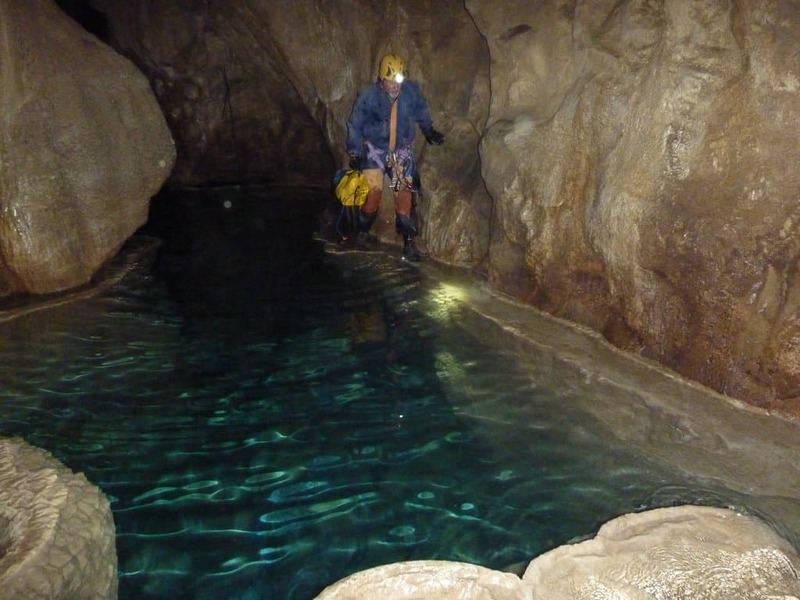 This lake was created in Croatia when the roof of a cave collapsed inwards to reveal the underneath lake. What makes this lake truly remarkable is that many believe that this lake is connected via underground waterways to other rivers and lakes in the area. 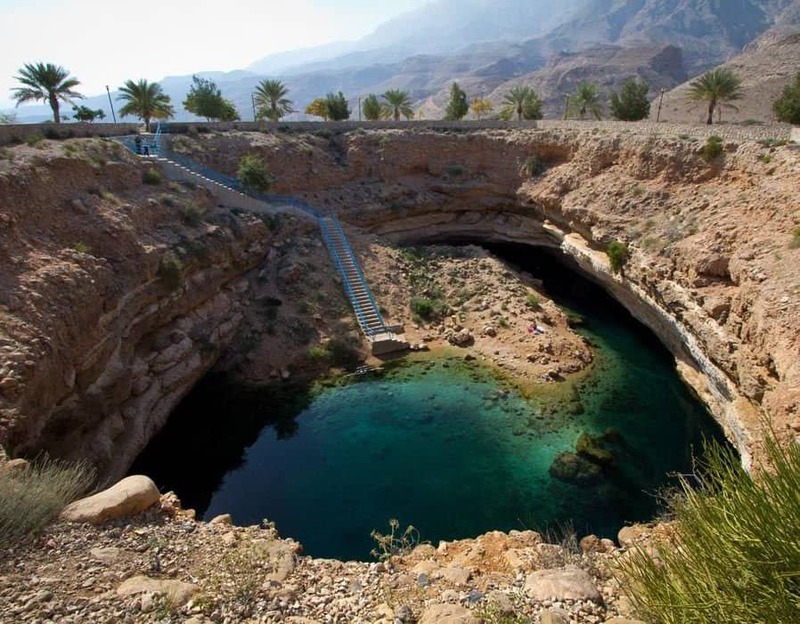 This sinkhole in Oman is roughly 30 meters deep and contains crystal clear water at the bottom. Many tourists have come here for a leisurely swim, and as such a concrete stairway was built into the sinkhole to allow visitors easier access to the waters. 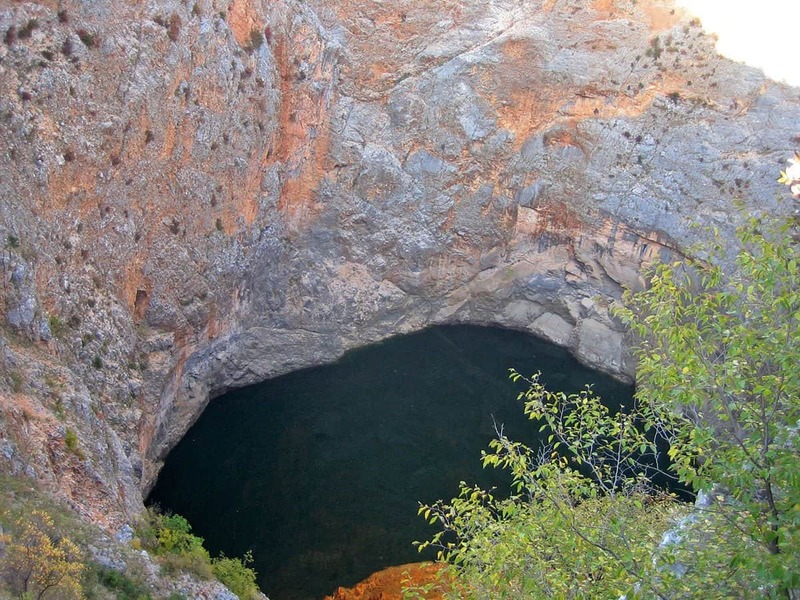 Known as the “Door To Hell,” this sinkhole has a diameter of 70 meters and a depth of 30 meters. It is not the size of this sinkhole in Turkmenistan that makes it so unique. It was found that natural gas was fed into this crater through cracks in the earth, and due to the destructive nature of the methane gas, geologists have set it on fire, to convert it to carbon dioxide and carbon monoxide instead, and it has been burning ever since,. 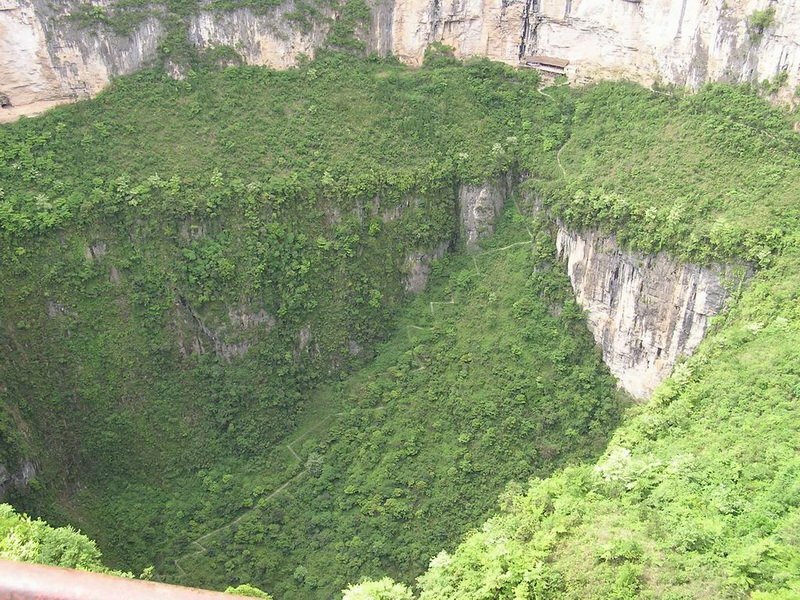 Found in Venezuela, this sinkhole is roughly 320 meters deep, and consists of almost completely vertical walls. Due to the weathering process that created the sinkhole, there was found to be water at the bottom of this sinkhole, and as such, more forest grew at its base. This sinkhole houses a forest, whilst being inside a forest. 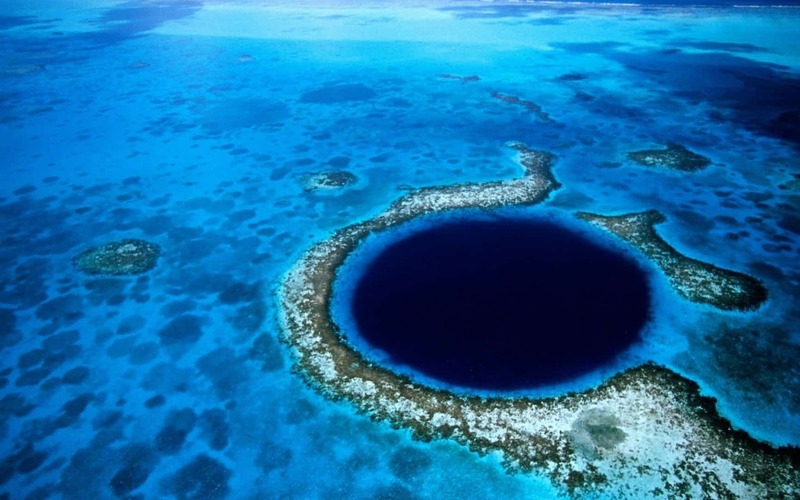 Similar to Dean’s Blue Hole, this sinkhole is also found underwater in Belize and was discovered by the famous explorer, Jacques Cousteau. Although it was not the deepest underwater sinkhole at 125 meters deep, it was described as some of the best scuba diving to be found around the world. 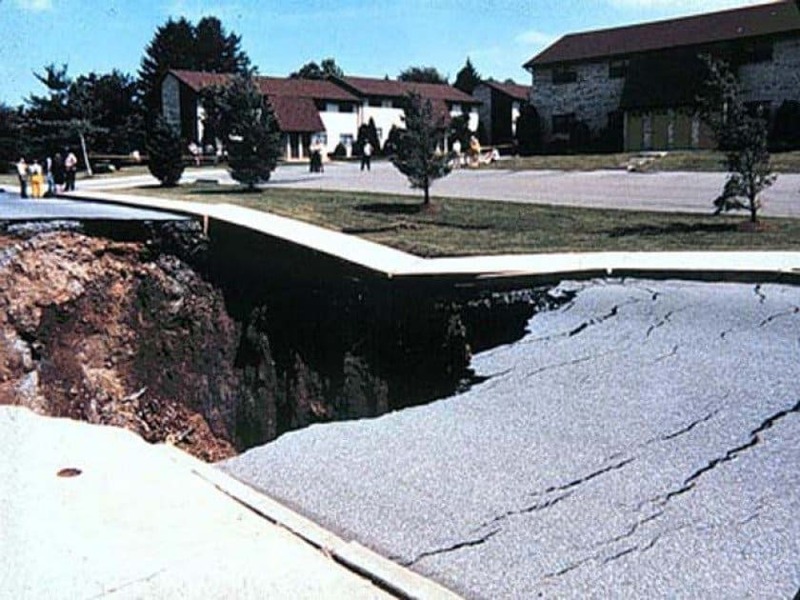 Found in Pennsylvania in 1986, this sinkhole was created due to a burst water main under the road. The water liquefied and weathered away the earth, creating a 23 meter wide, 10 meter deep hole costing almost half a million dollars in repairs. This sinkhole was found in New Zealand by Henry Harwood and is considered the best cave exploration experience in the country. At 176 meters deep, this sinkhole may not be the deepest in the world, but in a country already chock full of tourism experiences, it adds another layer of depth to the industry. 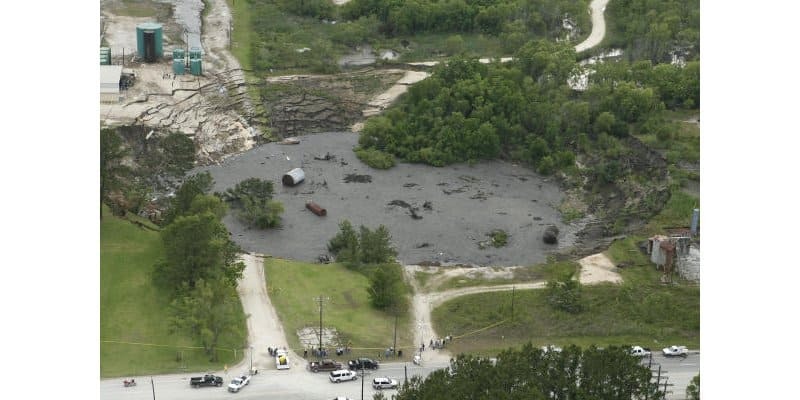 Found in Texas, this sinkhole started at roughly six meters in width, but due to the salt dome found beneath the area, erode away to roughly 275 meters wide and 80 meters deep. Considered to be the deepest underwater sinkhole, at roughly 200 meters deep, this sinkhole can be found in the Bahamas. It was found that the circular opening widens as you go deeper into the sinkhole. 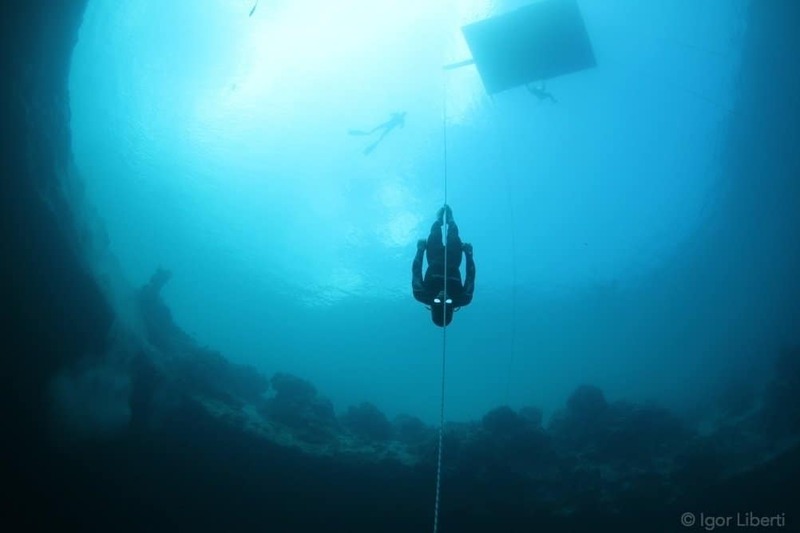 As creepy as this is, the world free diving championship has been held there, where a record of 92 meters was set by free diver William Trubridge.